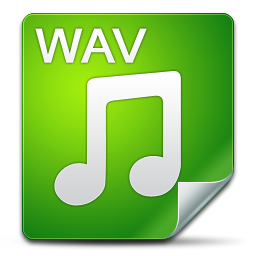 WAV stands for Waveform Audio File Format (WAVE, or more commonly known as WAV due to its file name extension), which is a Microsoft and IBM audio file format standard for storing an audio bitstream on PCs. It is an application of the Resource Interchange File Format (RIFF) bitstream format method for storing data in "chunks", and thus is also close to the 8SVX and the AIFF format used on Amiga and Macintosh computers, respectively. It is the main format used on Windows systems for raw and typically uncompressed audio. The usual bitstream encoding is the linear pulse-code modulation (LPCM) format. While the RIFF format can act as a container for various audio compression codecs, more typically it contains uncompressed pulse-code modulation (PCM) audio that retains all the samples of the original signal, and is thus known as "lossless". PCM is the format standard of audio CDs, conveying two channels with a sample rate of 44,100 Hz (samples per second), and a bit depth of 16 bits per sample. This "audio CD" standard consumes approximately 10 MB of disk space on a computer for each minute of audio. In comparison, some modern formats such as FLAC which are compressed but still lossless, take about 4 MB of space per minute for a comparable file. A compressed, lossy format like MP3 takes much less space. An MP3 exported from Audacity at its default 128 kbps bit rate uses about 1 MB of space per minute for either a mono or stereo file. Macgo Mac Blu-ray Player: Play WAV format on your Mac. Macgo Windows Blu-ray Player: Play WAV on Windows platforms. Macgo Free Mac Media Player: Play WAV for Mac OS X.